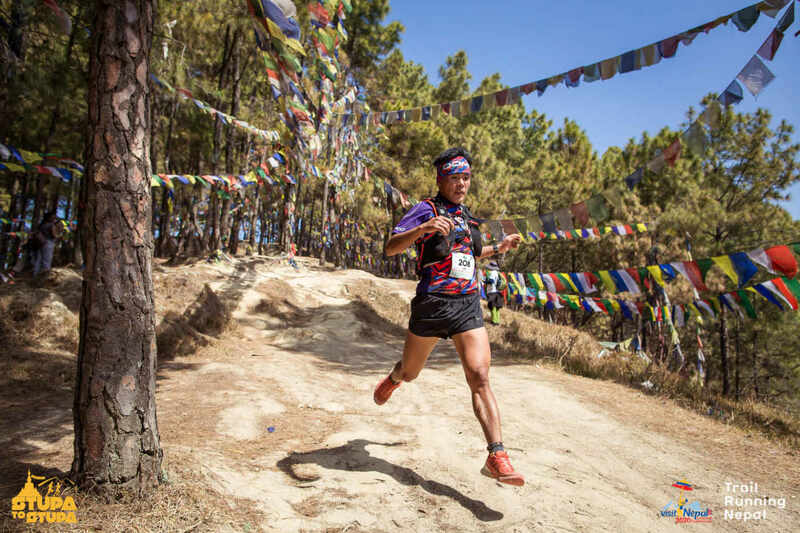 Mira Rai’s Post-Monsoon Stupa To Stupa 54 Km = 3 UTMB points. The course passes 5-ish monasteries and one hermit’s cave. A good combination. The trails are very runnable and not so technical. It’s possible as a speed hike and doable as a first trail 50km as most of the trail contours around the hills rather than climbing over the top (with the exception of the first hill). Fabulously chaotic starting location (Swayambu aka The Monkey Temple) and fabulous semi-tranquil finish location (Boudhanath Stupa), two of the most important locations for (Tibetan) Buddhist pilgrims. As good a start and finish location as any ultra race anywhere in the world. What kind of race is this? It’s quite a good first ever 50 km ultra. It’s not easy, but after the first major climb, there is a lot in your favour and no nasty surprises at the end. Thanks to Lloyd Belcher for the photo of Aite at Swayambu. This is not to much a race as an aesthetic challenge to get from temple to temple in 12 hours. It is around 54km and so at a steady 5km hiking pace with no stops it can be completed in 11 hours. Then the toughest and only serious climb of the day to the Jamacho Gomba. Then there is the long, steady downhill through the amazing old trees of the Nagarjun jungle. Then climb towards Tarkeshwor Mandir, maybe saying hello to the orange robed Sadhu living there. Continue to Nagi Gumba and the checkpoint there, first on a small foot trail, then jeep road. The last 2km are going to be dusty running with traffic on small roads. Hold your breath and keep your patience. Arrive at Bouddha Stupa. Complete a kora to the finishing line. Whats the amount of fee? 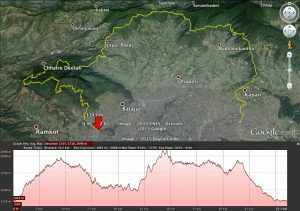 when starts the 34km run? 6 o´clock, too? 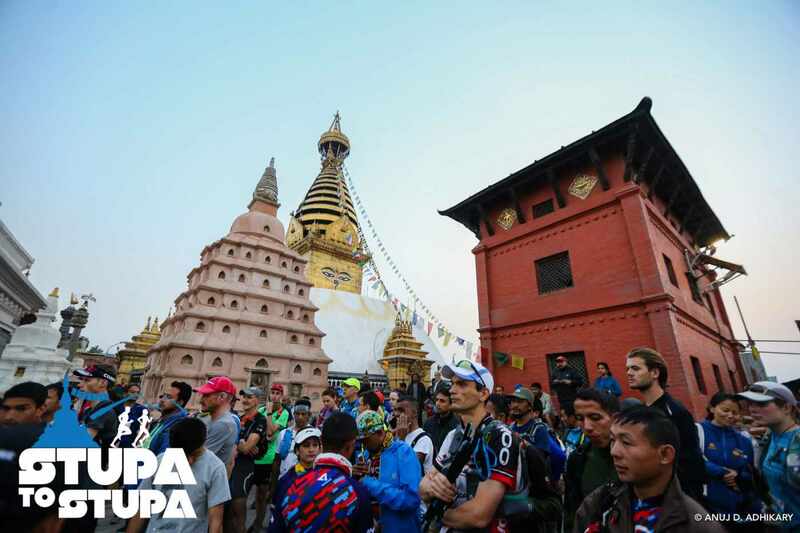 How to get register for BUDDHIST STUPA TO STUPA TRAIL ULTRA MARATHON .? I want to participate in this trail ultra marathon. When is the last date to registration for event?